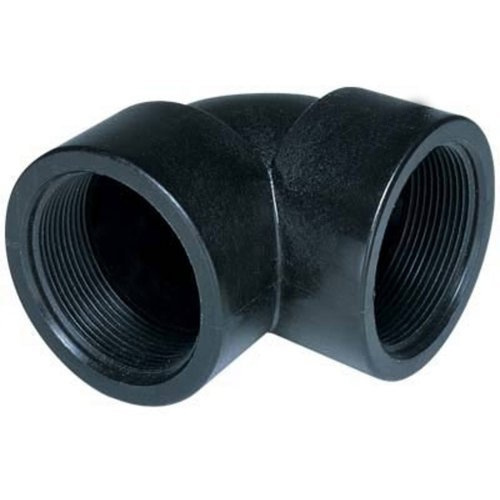 We are engaged in manufacturing 90 Deg Elbow, which is also known as 90 bends or 90 ells". Designed in line with international quality standards, our range is categorized into SR (Short Radius) elbows and LR (Long Radius) elbows. The SR (Short Radius) elbow (with a center-to-face dimension of 1.0 X diameter) is mainly used in tight areas where clearance is required. We, Katariya Steel Distributors established in 1973 are importer, supplier, distributor, exporter, manufacturer, trader & service provider of Sheets, Plates, Pipes, Fittings, Flanges, Olets, Fasteners and other Industrial Products since 1973. The range of our products includes Sheets, Plates, Pipes, Tubes, Pipe Fittings, Forged Fittings, Flanges, Olets, Angles, Channels, Bars, Wires, Strip flat & Fasteners. The range of our products is sourced from some of the trusted and certified market vendors. These vendors manufacture the products using high grade steel and employing latest technology & machinery. Our product range is widely used to cater to the various industrial requirements for its flawless quality, dimensional accuracy, corrosion resistance and long service life. These industrial products are made in compliance with the national & international standards such as ASTM, BS, IS, DIN, ASME, ANSI and MSS. The products offered by us are widely used in various industries & sectors like chemical, petrochemical, refineries, fertilizers, power plant, nuclear power, oil & gas, paper, breweries, cement and others. Moreover, our product range is checked on various quality parameters and offered with Manufacturers Test Certificate, Laboratory Test Certificate from Government Approved Laboratory, IBR Test Certificate, Third Party Inspection, and Excise Gate Pass to avail Mod-Vat Benefit. To assure the flawless quality of our products, third party inspection is conducted by Tecnimont ICB Limited, DNV, Fact Engineering and Design Organization, Projects & Developments India Limited and Baxcounsel Inspection Bureau Pvt. Ltd., among others. We have been able to add the names of some of the renowned organizations in our list of clients like Tata Institute of Fundamental Research, Mumbai; Levcon Instruments Pvt. Ltd., Calcutta; Pembril Engineering P. Ltd., Aurangabad; Praj Industries Ltd., Pune; Indian Farmers Fertilizers Co-Operative Ltd., Kalol; Larsen & Toubro Limited, Surat. Our exporting countries are whole over the world.